Yoo what's going on losers. Just finished my cut. Time to start my bulk soon. Attached is a pic at different body fat through my painfully long 8 month cut. This is a response to the person who asked if a strong jawline makes a difference. Well tbh I don't have a very strong jawline as such but my face appears angular. It's quite visible. Eitherways I used to get as much attention at even 20% bf .. Although I look way way way better now. Alot of these pics are horrible and I would never share some of them lol. But felt like sharing it with you guys so here goes. Hit me up if you're in or around Toronto. Would love to link up with fellow glls. Last edit: by indian cassanova. i'm not convinced. but then again i barely go out these days. i feel at around 15-16% i had a good time cuz i had decent size and above avg aesthetics as well. i would get approached quite a bit then. now i'm a little smaller then that. time will tell. Firstly, the beard will help accentuate the jawline. Can you get your beard higher up on your cheeks (to make it seem as if you have higher cheekbones)? 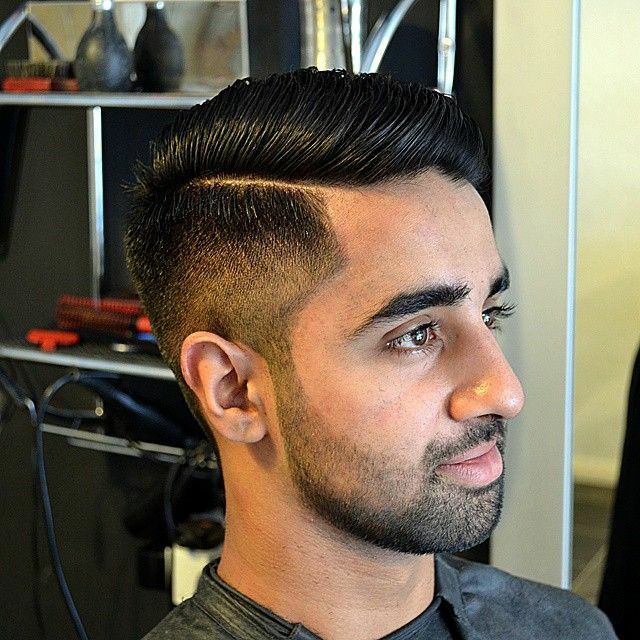 Secondly, with South Asians, I think tapered sides are GOAT because we tend to have wavy hair, which looks great on top, but not so much on the sides. I usually ask the barber to start with 1 (trimmer setting). Thirdly, get your eyebrows done/groomed. Fourthly, experiment with earrings. I use black studs. PM your phone number if you'd like to be added to the NYC GLL Whatsapp group. @OP This may sound like a strange question but why don't you show your teeth when you smile? It might make you more attractive. Just a thought. My friend these are just random selfies which are not really my best look. It was to show the face fat difference. I'm guessing you got 13 lays in India? How's the quality of girls there? Are they easy and freaky? I may be going there soon lol from the UK. I am a South Asian though. Your face doesn't really look much different in the last 3 pics, which is a good thing, as you look good, and will be able to maintain that look at 12% body-fat, meaning you be bigger and stronger. Born and bred in Dub.ai. India is easy af though. Specially for nris. But it takes time adjusting. It's a little fucked up but if you're on the fairer side you'll have an easier time. Tinder has been kind to me in India. Overall don't go to India for game. My skin tone is similar to yours, so standard Asian colour I guess. Bleaching industry is big in Asian countries. I'm still a little overweight, but I'm guessing that's not a big deal in India, definitely isn't in Bangladesh. I hate gaming anyway. Was just going to try my luck on Tinder. What's the standard messaging template you use there? Similar to GLL one? Anyway, thanks for the advice Gerald.